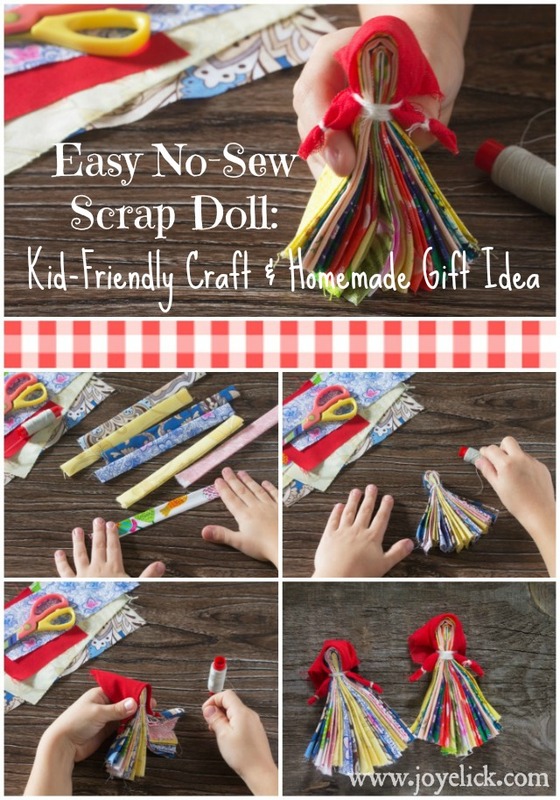 SCRAP DOLL: Easy kid-friendly craft and homemade gift idea using fabric scraps. 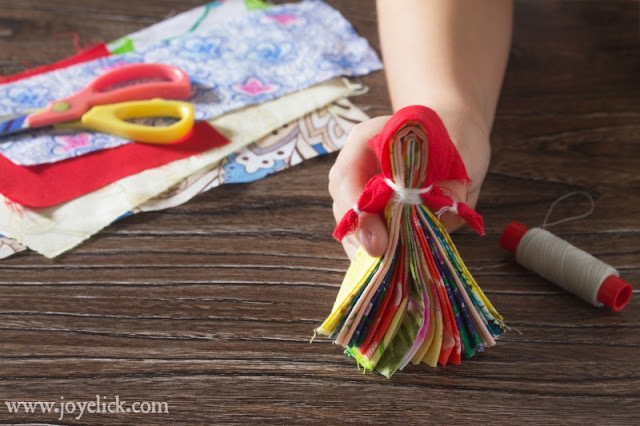 Do you have piles of fabric scraps lying around? Me too. 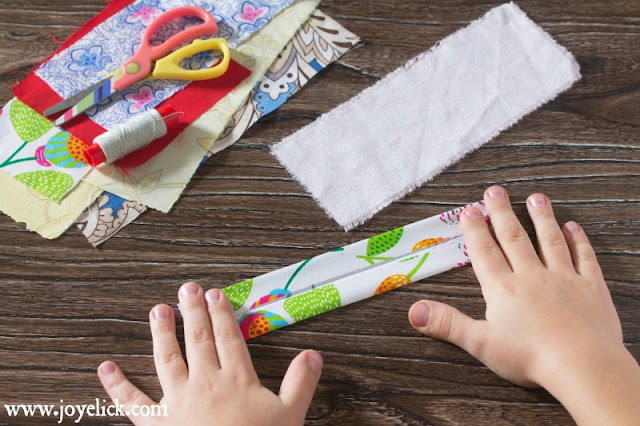 That's why I thought this kid-friendly craft idea was so cool! 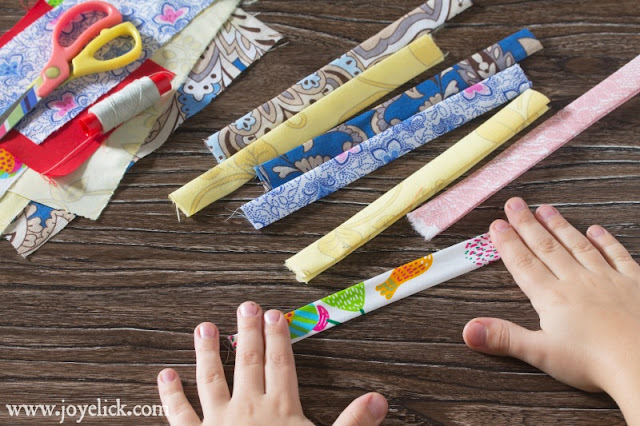 It's a great way to put some of those scraps to use, while engaging with a child you care about. In my family, we've made a tradition of doing crafts together at Christmas time. In the spirit of simplifying the holidays, we opted for the old-fashioned Christmas experience. In that spirit, we always encouraged homemade gifts. (My kids are grown now, but I still like to carry on the tradition with my young nieces)! This craft is very easy. It involves only cutting and assembly, no sewing. 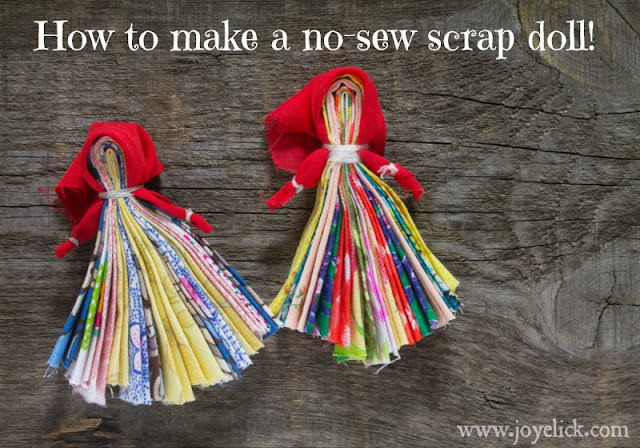 This cute little scrap doll reminds me of the corn husk dolls I remember reading about in Little House on the Prairie. (But I think this fabric version is way cuter)! Okay. Since Christmas is just around the corner, we'd better hurry up and get started! Step 1: Cut 8 fabric scraps into 2 x 10 inch pieces. 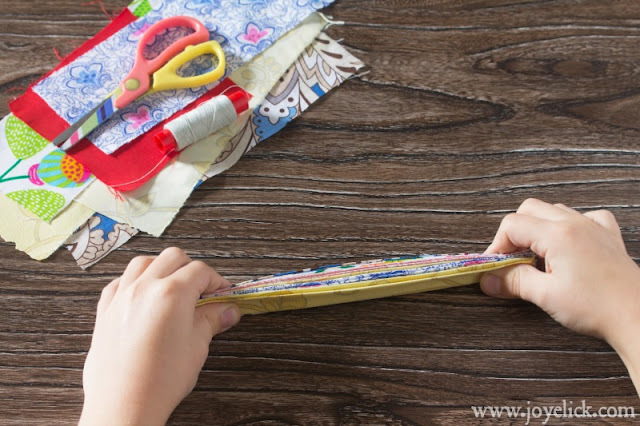 Fold each scrap length-wise so that each fold is 1/2 inch wide, meeting at the center. Step 3: Stack the pressed strips together and fold them in half like you're making a paper fan. Step 4: Using the twine, wrap the folded end of the strips about an inch from the top and tie. Step 5: Cut a scrap into a 2 x 2 inch piece. Fold each edge over about a 1/4 inch. Press each fold flat with the iron. Step 6: Fold the 2 inch square into a triangle, folded edges to the inside, and tie each end closed with the twine. Step 7: Place the fabric triangle over the folded end of the fabric strips and tie in place around the "neck," leaving the ends of the triangle free to look like arms. That's it! You're done. Adorable, right? 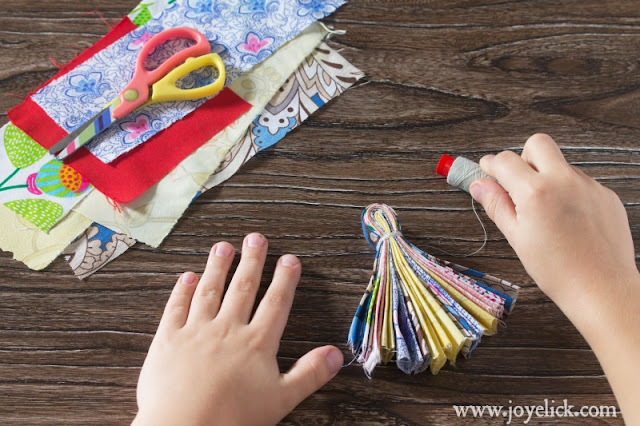 This project is so simple, a child could make a little family of dolls to play with or give to another child as a gift. Wouldn't these look adorable using coordinating calicos, checks and stripes with baker's twine? I'm inspired, how about you? 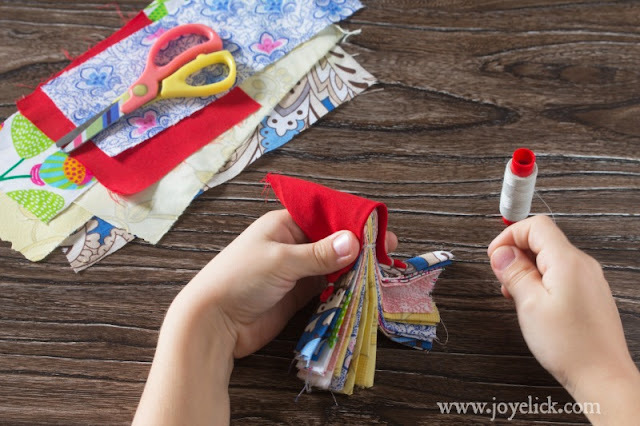 Let's chat: What are some ways you like to use fabric scraps? I hope you'll share in the comments below! DIY Pillow covers to re-purpose old throw pillows. 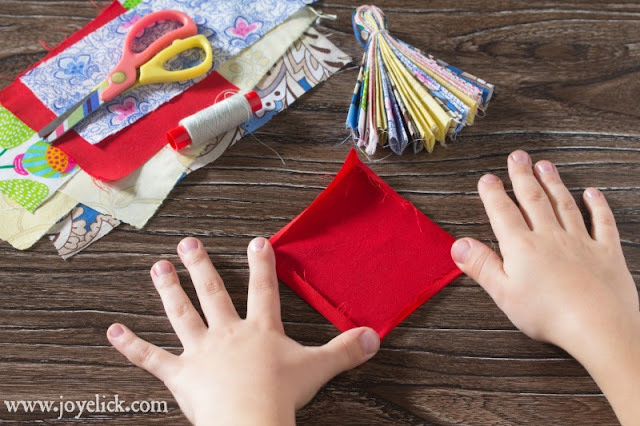 How to make your own DIVIDERS for that scrap-booking or binder project. How to decorate CUPCAKES with fondant. How to make your own PERFUME with essential oils. 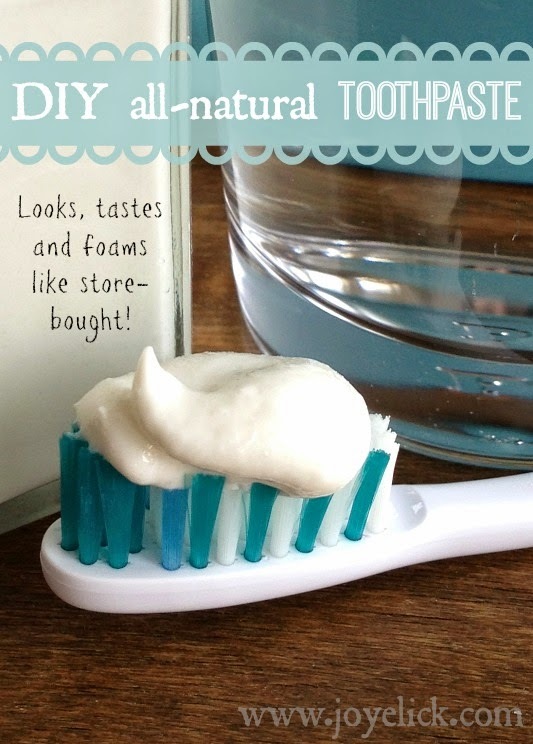 DIY Roll-on deodorant that works great! Nice attempt. I also used to make dolls out of scrap and cotton in my free time. I also used scrap for making cute jewellery boxes and random wall hangings. Miss old times. 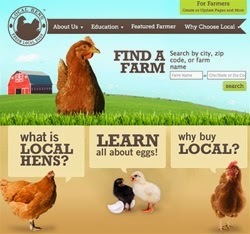 really great idea. I have a lot of old clothes just lying around without any use so I am going to try to make something useful of that old fabric. My niece is going to be excited. Thanks for the idea. The craft of this kind is simple enough, but interesting. 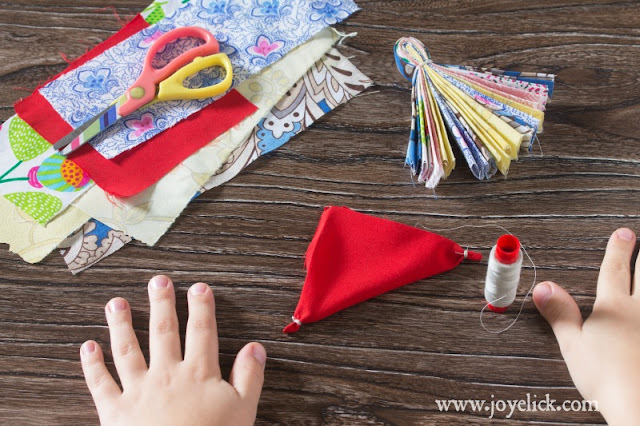 The small parts from the fabric will develop the motor skills and help to get such original things. They may even learn to skate on one foot, master turns, skate backwards and execute some small jumps. If they really want to get excited, show them a few of the roller blading professionals on YouTube.com. Patterns will come and patterns will go; Emily Blunt Skin Cream yet they never leave totally. It's the same for your beauty treatment regalia. They are all made to cut materials in basically the same way, but they may have different features, power levels, and fence systems that guide materials to the blade.